Gets it’s name from the shape of the flowers, which some may categorize as looking like a bird’s foot. 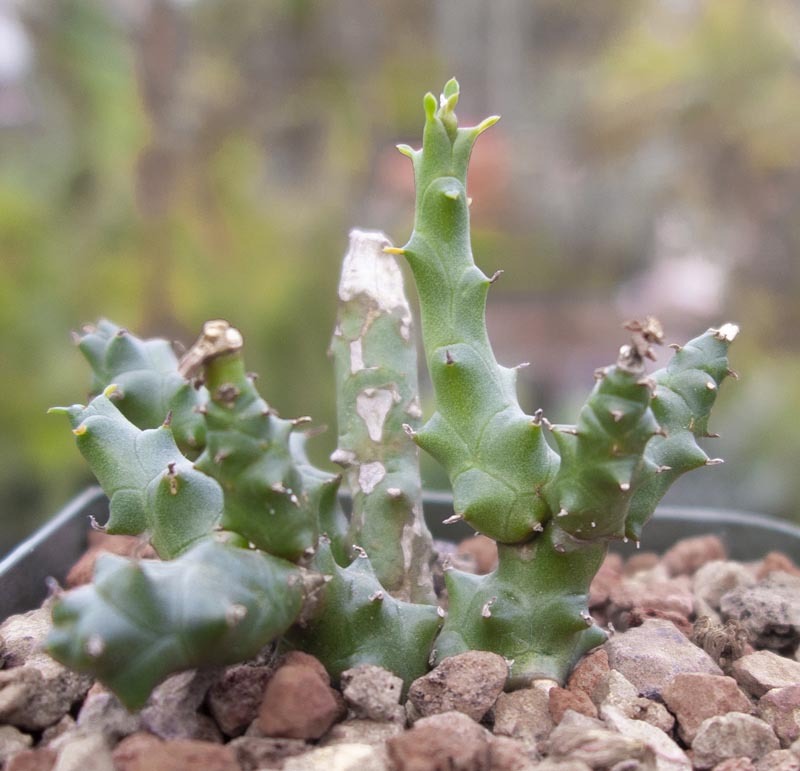 Low growing, spineless, and it forms a caudex. Leafless stems in all directions, often laying down at the ground.